Price has oscillated between the upper and lower Trendlines, with no directional movement. The RSI period 14 is also not at, or around the overbought and oversold territories. Prospex Oil is not attractive right now, but price is expected to soon close above the upper Trendline or close below the lower Trendline. Then a directional bias would ensue and it would be supported by the location of the RSI 14. The future movement is what would determine whether the bias on the market would be bearish or bullish. A bullish bias would occur once price closes above the upper Trendline, and a bearish bias would occur once price closes below the lower Trendline. Physiomics PLC stock (LSE:PYC) has shot upwards massively, just like Bitcoin. This follows the long-term consolidation (base line), which held out for several months. The recent massive, bullish breakout has ended that. All the EMAs are flat, reflecting the past tight consolidation in the market. However, the 4 EMAs would start sloping upwards. Physiomics is now in an uptrend, that is supposed to be sustained as the ongoing bullish breakout is sustained. Binary Options trading is one great way to make money from the markets. We’ve customers who pull out consistent dollars from binary options trading. 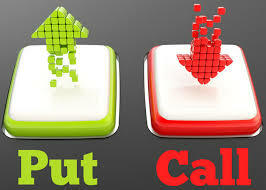 I also have a good binary options strategy which I developed based on my own experience in the markets. It’s 100% manual and discretionary. I used to use it on a daily basis. But I discovered that it works best on Fridays. If I lost money in other days of the week, I recovered them on Friday. Therefore, I restricted my trading to Fridays only. In binary options, since risk is usually greater than reward, you need at least 70% accuracy in order to remain profitable in the market. This is exactly what I’ve achieved. I used to enjoy using the strategy on ZuluTrade. When I started on ZuluTrade, my ranking was around 35,000th of all the signals providers. But I eventually worked my way to 2,000th, 500th, 200th, 85th, 50th, 32nd, 17th, etc. positions. Sometimes, the positions got better, sometimes it got slightly worse. I was making profits… Though the competition in the trading world is fierce. There are many brilliant traders in the world. Then after a few years, Zulutrade announced that they’d stop supporting binary options trading. At that time, I was already at the number 7th in the Zulutrade world ranking (including Europe). To be among the top 10, out of many thousands of traders on a platform, isn’t an easy task. Your strategy must be exceptionally good. That was exactly what I achieved with my simple binary options strategy, which I used on Fridays only. Trading duration: Maximum of 12 hours. Please see the attached screenshot to see the strategy summary, which was taken before ZuluTrade stopped supporting binary options. NB: If you want to learn this strategy, contact us please. It’s very simple. There are honest and reliable exchangers out there. Most customers of exchangers don’t go to the exchangers offices. They just locate them online, contact them, sign up on their websites, and then transfer digital currencies or Naira cash to them. And they are never disappointed. Some customers are not so lucky. They transfer digital currencies or Naira cash to exchangers who turn out to be fraudsters. They lose their hard-earned money. That’s why some customers would never want to do business with exchangers until after they locate their offices. Needless to say, we have many customers who have never seen us face-to-face and they’re very happy with our services. If an exchanger doesn’t have an office, or they tell you that you should not come to their office or you cannot locate their office; please do not do business with them. Customers Do Online Exchange Business With Exchangers Because Thy Trust Them. Period. 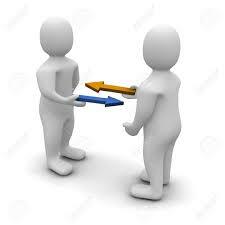 Exchangers should therefore, not betray that trust. If customers send you Naira cash, please process their orders. If you cannot process their orders quickly, tell them and let them know the reason. If you cannot process their orders at all, send their cash back to them. If customers send you digital currencies, please process their orders. If you cannot pay them quickly, tell them and let them know the reason. If you cannot pay them at all, refund their digital currencies. If you would need to delay customers, please let them know and how long the duration would be (providing that they agree to that). IF YOU BETRAY THE TRUST A CUSTOMERS HAS IN YOU, YOU CAN NEVER GAIN THAT TRUST BACK. Forget about advert campaigns. Forget about online customers support (who cannot really make any decisions). Forget about the beauty of your websites or your coding skills. Forget about any other things. At the end, what matters most is for you to retain the trust your customers have in you. If you betray a customer, you lose that customer forever. If you lose one customer you have automatically lost 10 customers. The USD/JPY pair is bearish. Price went downwards by 100 pips last week, closing on a bearish note. There is a Bearish Confirmation Pattern in the market, and it is possible that the demand level at 111.00 would be tested again. However, a rally is expected before the end of this week. 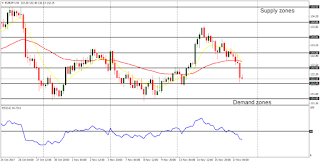 EUR/USD: This currency trading instrument went sideways on Monday and Tuesday and then began moving upwards until the end of the week. A minimum of 210 pips have been gained, as price closed above the support line at 1.1900, going towards the resistance line at 1.1950. The resistance line would even be exceeded. 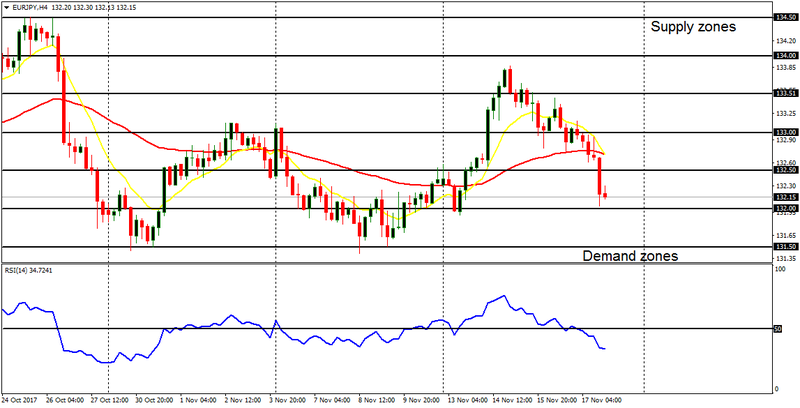 GBP/USD: The GBP/USD sent upwards gradually last week, until there is a bullish bias on the market. 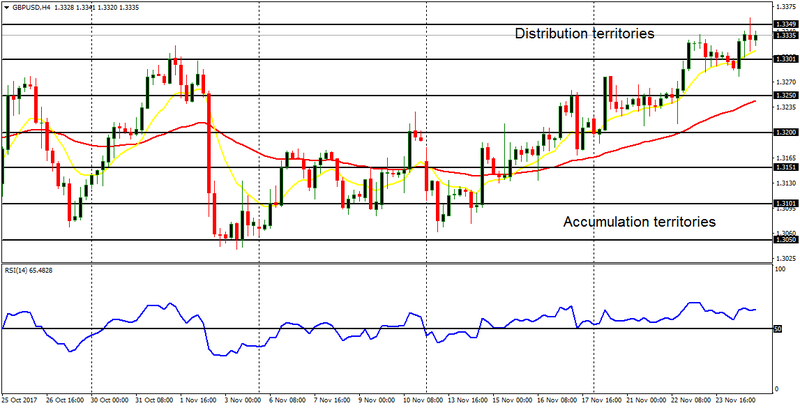 The market can continue going upwards, reaching the distribution territories 1.3350 and 1.3400. On the other hand, the market can begin to go downwards somewhere in December, for the outlook on GBP pair is strong bearish for that month. EUR/JPY: This cross is bullish in the short-term, but neutral in the long-term. After testing the demand zone at 131.50, the market went upwards by 170 pips, closing above the demand zone at 133.00. Since the outlook on JPY pair is bullish for this week (and owing to the stamina in EUR itself), it is expected that price would continue going upwards. The market has come down by 220 pips in November 2017 – going downwards by 100 pips this week alone. There is a huge Bearish Confirmation Pattern in the market, which means price could continue going southwards, reaching the support levels at 0.9750, 0.9700 and 0.9650. These targets ought to be reached within the next several trading days, for there cannot be a meaningful rally in the market as long as EURUSD is strong. There is a bullish signal on GBPUSD, which has come about as a result of desperate effort by bulls, to price upward against bearish forces in the market. 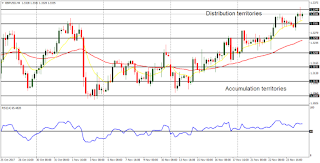 There is a possibility that price could reach the distribution territories at 1.3350, 1.3400 and 1.3450 this week (and in December). However, price would eventually fall seriously in December because the outlook on GBP pairs is strongly bearish for that month. Long trades may not make much sense on GBP pairs in December. This trading instrument has lost about 300 pips in November, after testing the supply level at 114.50 on November 6. The market may continue going downwards, reaching the demand levels at 111.00, 110.50 and 110.00 (providing that the selling pressure is great in the market). However, things would eventually turn bullish this week, for the outlook on JPY pairs is bullish for the week. There would be a bullish reversal that would end up generating a “buy” signal. This cross is bullish in the short-term and neutral in the long-term. The cross went sideways on November 20 – 23. Since bullish movements are anticipated on JPY pairs this week, it is interesting that EURJPY has already started the journey. Price managed to close above the demand zone at 133.00 on Friday, and would gain another 200 pips before the end of the week. Once the supply level at 134.00 is breached to the upside, the bias on the market would also become bullish in the long-term. GBPJPY is not an attractive market at the present. It has been consolidating for the past several weeks, and the consolidation would continue until there is a sustained breakout in the market. The most likely direction this week (and probably in December), would be northwards. The bias on the market would turn bullish once price goes above the supply zone at 150.00, which would not be an easy goal to achieve, since GBP would sometimes become weak in itself. 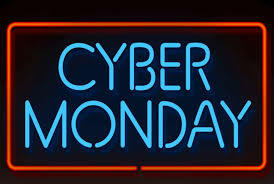 But we’ve decided to extend it for our buyers in form of a Cyber Monday promo. Buy Neteller at N375/$ - any amount from 20 USD to 500 USD. This is your opportunity to buy at a low price and sell at a higher price to others, or retain for future use. After which prices return to previous levels again. We’ve decided to give offer to all our customers to enjoy Neteller funding and withdrawal rates at exactly the rates shown on our 2 websites. This time around, the rates aren’t only for our VIPs and our Tallinex.com and Instaforex.com customers. All our verified customers can sell Neteller at N340/$. All our verified customers who use Access Bank can sell Neteller for N345/$. Everybody can buy Neteller at N375/$, and they can also buy at N370/$ if they buy more than 500 USD. Please note that the minimum we allow for any transaction is 20 USD (otherwise your transaction will be rejected). These rates will not be given to you automatically – you need to claim it. If you don’t quote the statement above, we won’t give you the rates you see on our websites (unless you’re our VIP, Tallinex.com and Instaforex.com customer). 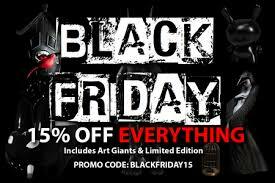 THIS PROMO ENDS AT 11:59 PM TODAY (NOVEMBER 24). PS: This highlights the importance of checking and whitelisting our email. Pantheon Resources shares (LSE:PANR) are quite choppy and they may go bearish again, as the analysis below reveals. The market is currently going through the EMA 21 (moving below it). It may eventually close below the EMA 21. The Williams’ % Range period 20 is sloping downwards and it may soon go into the oversold territory. What is then expected? When price closes below the EMA 21, and the Williams’ % Range period 20 goes into the oversold territory, then the bias on the market would turn completely bearish. Yes, Pantheon Resources may go bearish again. Can Serica Energy go upwards again? Serica Energy stock (LSE:SQZ) can still go upwards again, following the current slight bearish correction in the context of a bullish bias. The ADX period 14 is not above the level 20, meaning that the momentum in the market is not great. The DM+ is not also conspicuously above the DM- (another result of the trendlessness in the market). The MACD default parameters, has its histogram below the zero line, plus its signal lines are sloping downwards while remaining above the zero line. No clear signal here. Eventually, it is expected that The ADX would go above the level 30 (a rise in momentum), and the DM+ would move above the DM-. The MACD would then have its histogram and signal lines above the zero line. This is what would bring a Bullish Confirmation Pattern in the market. Serica Energy might go further upwards after the ongoing bearish correction. The USD/JPY became clearly bearish last week, with further bearish movement on Friday. This has resulted in a Bearish Confirmation Pattern in the market, and the demand level at 111.50 could be tested. However, there would be a rally before the end of this week, which may threaten the bearish bias. GBP/USD: The Cable is essentially neutral and that has been going on for about 4 weeks. For the neutrality to end, price would need to go above the distribution territory at 1.3300; or go below the accumulation territory at 1.3050. As long as price hovers between the two aforementioned boundaries, the bias on the market would remain neutral. EUR/JPY: This cross went upwards last week, moving briefly above the supply zone at 133.50. Had price been able to stay above the supply zone, things would have remained bullish. But price moved downwards by 160 pips from the high of last week (133.87), and closed at 132.15. Further bearish movement is possible before price makes a U-turn this week. Is Kodal Minerals about to form a Golden Cross?